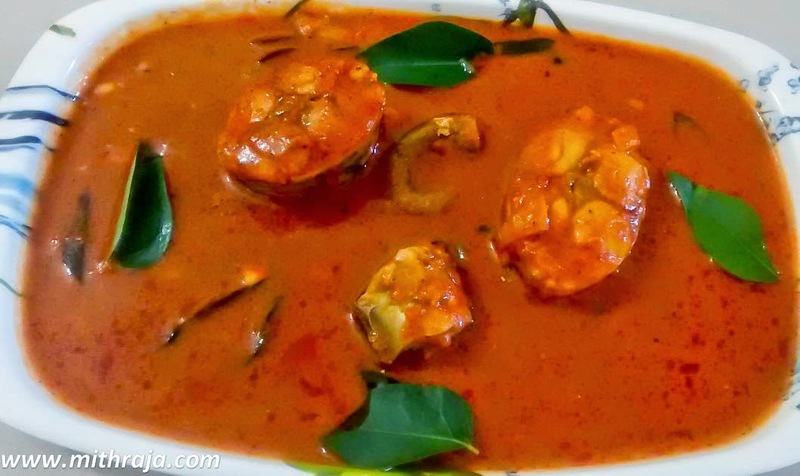 Fish curry in Andhra style will be more spicy and very tasty. 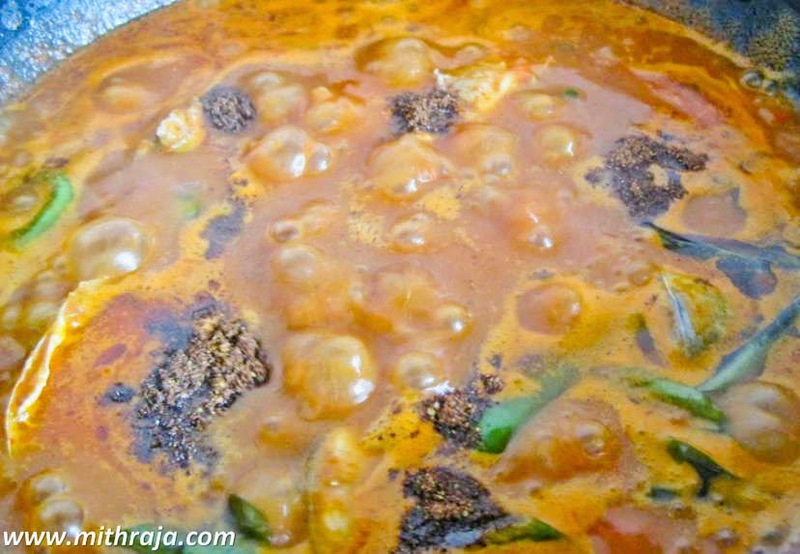 I am preparing this Andhra fish curry with Sheer fish. Sheer fish is not having thorn except the center bone. 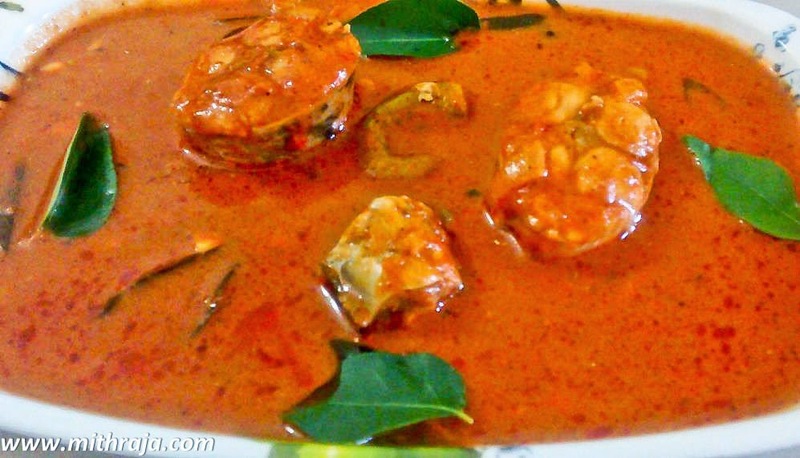 With sheer fish, fish curry will be very tasty and we will eat extra rice with this curry. For this curry, we are going to add extra oil. So the taste will be double. 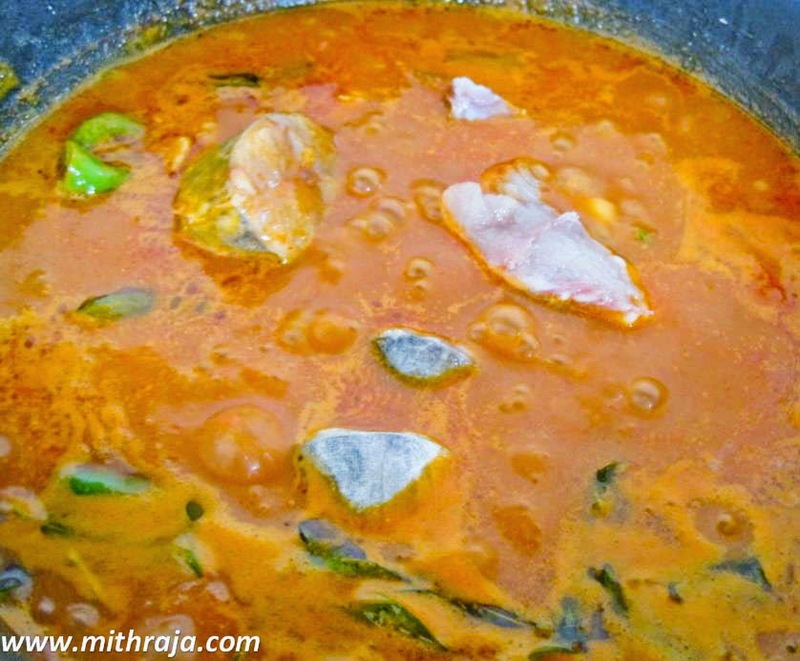 When we saw also, our mouth will be watering.. Wow!… What a spicy curry…… Come let us prepare the tasty Andhra fish curry with Sheer fish. 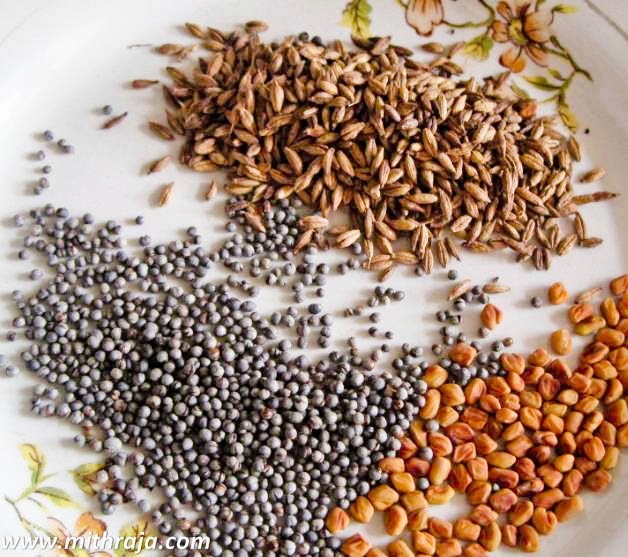 Heat a pan and dry fry methi seeds, mustard seeds, cumin seeds one by one. Should not over fry it. Grind them as powder after getting cool in room temperature. Heat oil in a pan, add chopped garlic, 1/2 teaspoon of chopped ginger and let it fry in golden brown. 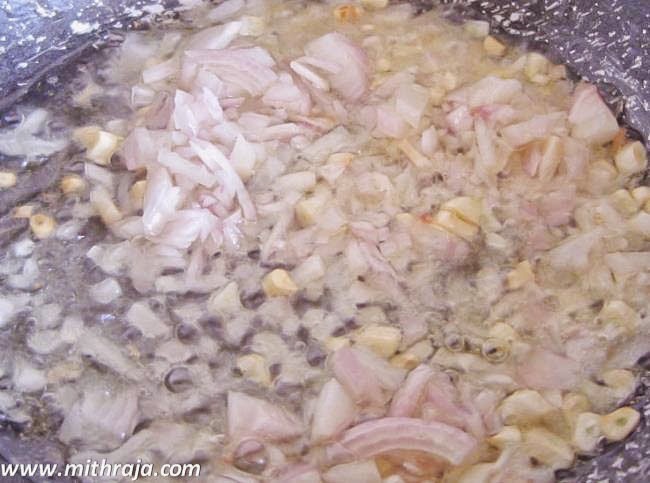 Add chopped onion, curry leaves and saute well till it turns transparent. 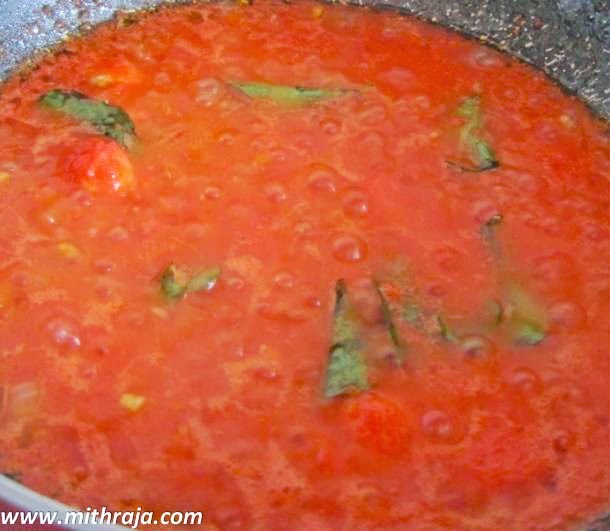 Add tomato puree and allow it to cook till the raw smell goes. Add tamarind paste, all the masala powders and add water and salt. Cook till masala smell gone. Add washed fish slices and cook for 5-10 minutes. After the fish cooked well, add 1 teaspoon of ground seeds powder. 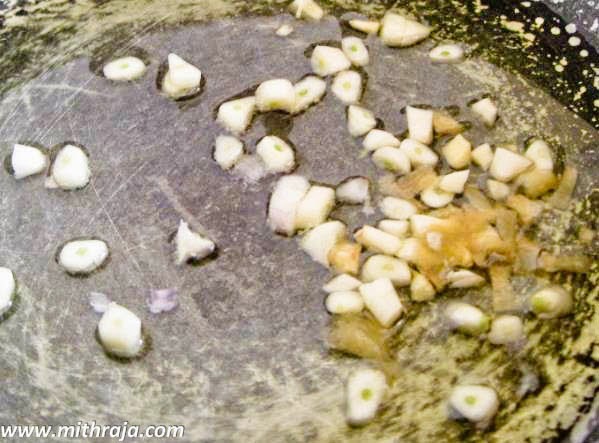 After 2 minutes of cooking, transfer to the serving dish, garnish with curry leaves and serve hot.. 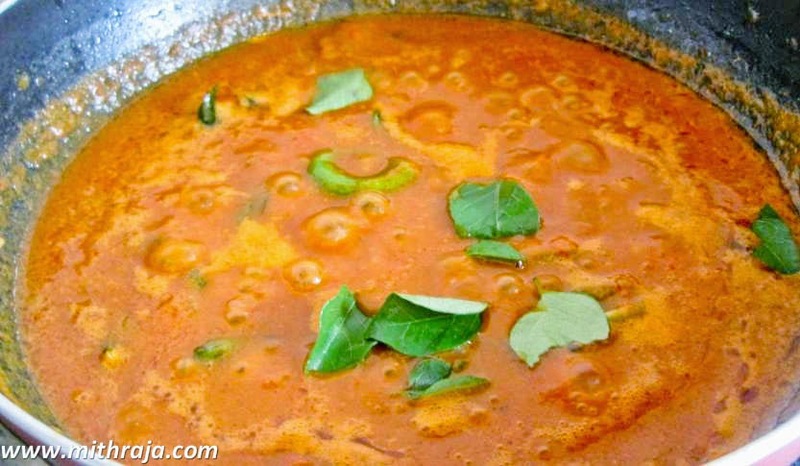 Try this yummy spicy curry and enjoy.. Designed by R.V.Kiran Kumar (e-mail: rvkiran@yahoo.com) & Powered by Mithra Raja.